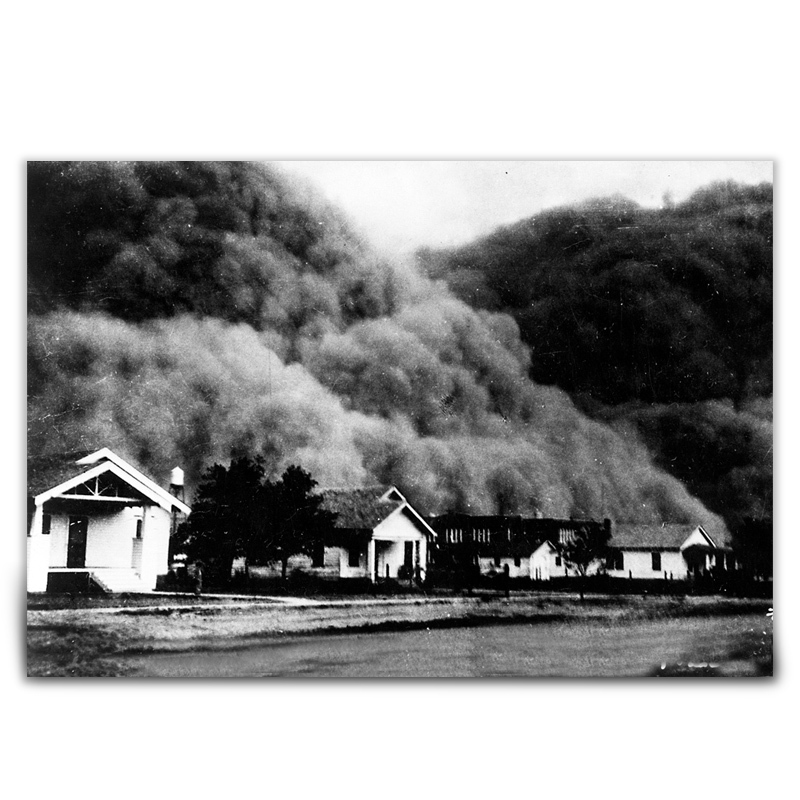 April 14, 1935, was called Black Sunday, for the intensity of the dust storms. This storms rolls over Hugoton, Kansas. The area was among the hardest hit during the Dust Bowl, which removed top soil from agricultural lands and prompting important changes in agricultural practice. From the collections of the Kansas Historical Society, the print was produced for the Kansas Historical Foundation.